Betty Blake (1930-1982)* was vice president of Greene Line Steamers during the tumultous years of the campaign to Save the Delta Queen. 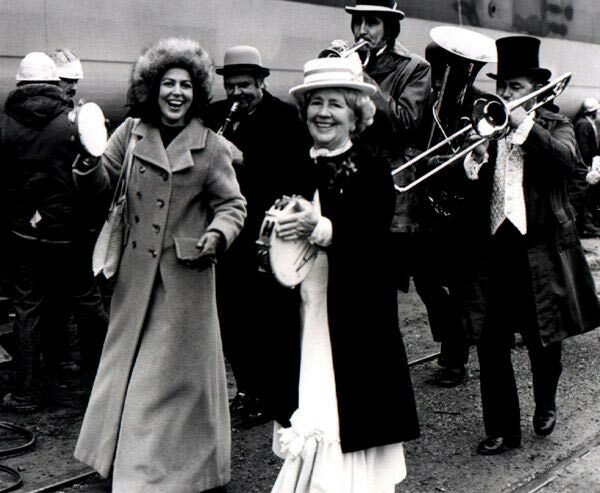 This website includes a detailed history of the Save the Delta Queen campaign—click here. Betty and my father worked together from 1966 to 1976, saving boats. As a matter of fact, Betty became a part of our family after my parent's divorce in 1970. She was a strong role model. 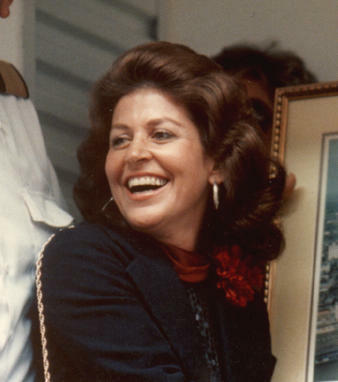 Betty was a vice president at a time when most VPs were men. She was ahead of her time, but not ahead of criticism. Betty laid down the law when necessary. That was her dark side. Some women are afraid to show strength, but Betty knew what she was doing. She was a great leader. People remember Betty for her genuine friendly way and dedication to her work. She was an artist when it came to managing the boats. She was a genuinely happy person who knew exactly what she wanted in life and got it. Betty died peacefully at home surrounded by friends in 1982. One of the last things she said was that she saw the other side and there were steamboats over there. Here are a few more photos from my father's Delta Queen archive. 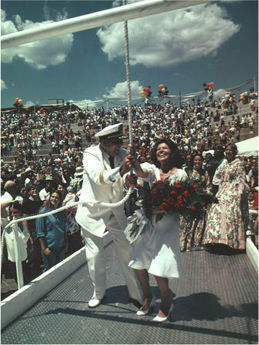 Captain Wagner and Betty Blake celebrate when the Delta Queen is saved. Betty marching with Ma Tooker. Vic Tooker, right, and the rest of the band were resident musicians on the Delta Queen.